Rich red roses and golden mercury glass are a vision of classic romance! 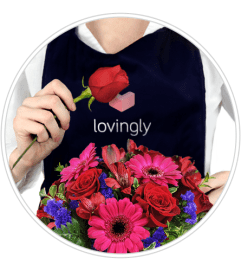 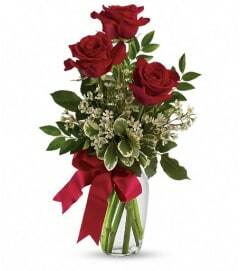 Steal her heart again with this loving tribute! 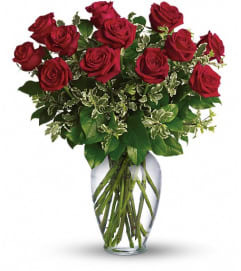 Six red roses are mixed with million star gypsophila and lemon leaves. 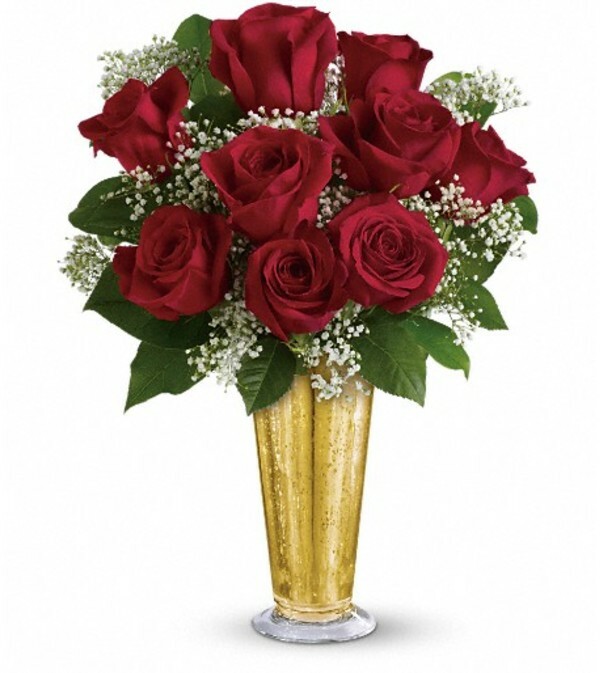 Delivered in a golden mercury glass vase in the classic julep style.